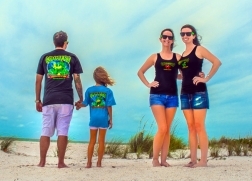 Clearwater Beach, FL - Proceeds from a raffle held during Cooters Raw Bar & Restaurant’s 14th Anniversary Party were donated to the Clearwater Marine Aquarium’s Turtle department. 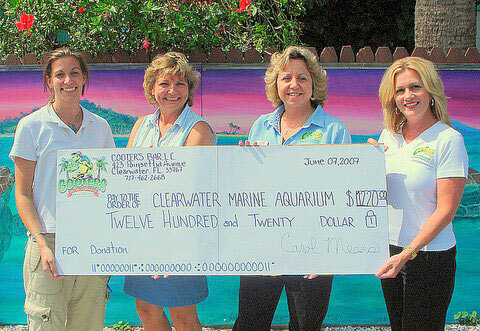 Pictured below (left to right) are Clearwater Marine Aquarium’s Rebecca Snowden and COO Jody Armstrong receiving the $1220.00 donation from Cooters’ manager Jeanie Roush, and owner Carol Mears. 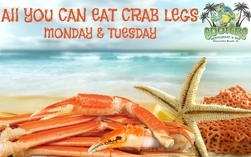 Cooters Raw Bar & Restaurant sold raffle tickets for chances to win three televisions to raise the money. The Clearwater Marine Aquarium. a non-profit organization dedicated to the rescue, rehabilitation and release of dolphins, otters and sea turtles was honored to be the chosen recipient of the funds. During the months of April through October, sea turtles migrate to Florida beaches for mating and nesting purposes. 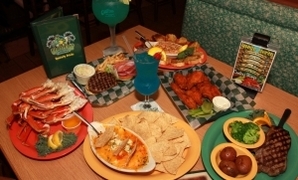 One of the goals of the Clearwater Marine Aquarium is to help protect the turtles that come to the gulf beaches.Cooters Raw Bar & Restaurant is located at 423 Poinsettia Avenue, Clearwater Beach. Phone 727-462-2668. 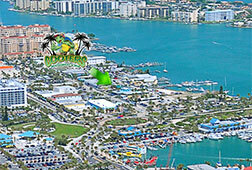 The Clearwater Marine Aquarium is located at 249 Windward Passage, Clearwater (Island Estates).